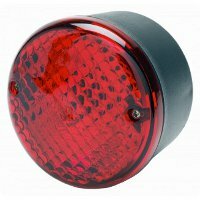 'Rubbolite' rear fog lamp, red, CE Connector. OE: Ch�reau. Left handed rear fog lamp, 12/24 Volts.